Although the average Christian wouldn’t know an "abomination of desolation" even if it came up and bit them in the rear, Jesus gave important end time survival instructions for "when you see the abomination." This cryptic phrase describes the key event that immediately precedes the Great Tribulation and is the last chance to flee to safety from the Antichrist. Nevertheless, people continue to disagree on what the abomination of desolation is or even whether it is past or future! Find out why it’s not the Dome of the Rock or any past event, and what exactly Revelation says it will be. Daniel's "abomination of desolation" is a very familiar term to most Christians thanks to Jesus' reference to it in the Gospels. At the same time, it is easily the least understood major prophetic term compared to say the great tribulation, the mark of the beast or even the 70th week. Most Christians have no clue what it is because the terms "abomination" and "desolation" do not have the same significance to a modern Western reader as they did to ancient Torah-savvy/Jewish audiences. These urgent survival instructions Jesus gave for end time believers are of course difficult to follow when you have no concept of what you're supposed to be watching for! Naturally, this ignorance makes it easy for Christians to entertain very diverse theories for what the abomination is; based in either the past or future. For example, one historical theory is that the abomination of desolation is the Dome of the Rock finished on the Temple Mount in 691 AD. Preterists believe the abomination happened when the Roman general Pompey conquered the city and entered the Holy of Holies (where only the Aaronic high priest was allowed) before they destroyed the temple in 70 AD. Others think Antiochus IV Epiphanes completely fulfilled the abomination after he violated the temple in 167 BC in the time of the Maccabees. Of course, there is also the "futurist" perspective that the abomination relates to the work of the end time Beast or "Antichrist." Fortunately, there are several clues in Scripture about the abomination of desolation. When you look at them all together, it becomes possible to identify the one interpretation that they all fit. Here are seven clues from simple, plainly read Scripture that will help us do that. Mark 13:14 (ESV) — But when you see the abomination of desolation standing where it ought not to be (let the reader understand), then let those who are in Judea flee to the mountains. As mentioned above, there are rules specified in Moses' Law about what is allowed in the temple. Unless something is a holy object (like the ark of the covenant) or a holy person (like a priest), it "ought not be" in the temple. Theories Contradicts: This clue rules out any interpretation that does not take place at the standing temple in Jerusalem, such as the Dome of the Rock theory. The next clue found in the same above verses from the Gospels is that whatever the abomination is, it is something that is visible or something people will "see" and also something that can be said to be "standing." Since seeing it is a sign, the implication is that the abomination becomes visible suddenly. This clue could fit the abomination being a person, a statue or perhaps even a building (except buildings do not suddenly become visible but are in a state of incompletion while being built). Theories Contradicted: This clue rules out any interpretations that presents the abomination as something you cannot see or does not stand up, such as saying it is some heretical religion or the destruction of Jerusalem itself (as Joseph Smith interpreted the event). Clue #3: Who Does It? Daniel 9:26-27 (HCSB) — 26 ... The people of the coming prince will destroy the city and the sanctuary. The end will come with a flood, and until the end there will be war; desolations are decreed. 27 He [=the prince, Antichrist ] will make a firm covenant with many for one week [the 70th week], but in the middle of the week he will put a stop to sacrifice and offering. And the abomination of desolation will be on a wing of the temple, until the decreed destruction is poured out on the desolator." Daniel 11:31-32 (HCSB) 31 His forces will rise up and desecrate the temple fortress. They will abolish the daily sacrifice and set up the abomination of desolation. 32 With flattery he will corrupt those who act wickedly toward the covenant, but the people who know their God will be strong and take action. The ones behind the abomination are not holy, but described as corrupting people against God's covenant and pitted against people who know their God. Theories Contradicted: Since the person doing the abomination (and cutting off the sacrifices—see below) is evil, theories about Jesus Christ doing or being the abomination (and as we'll see below, cutting off the sacrifices) do not work. You may have noticed in the above two verses from Daniel that there is always something else tied to the abomination: the abolition of animal sacrifices. The daily oblation sacrifices were commanded in the Law of Moses to be done in the morning and evening as part of the temple worship. Several prophecies even talk about them returning in the future despite them ending long ago with the destruction of the temple in 70 AD (Eze 40-48). Daniel 12:11 (HCSB) — From the time the daily sacrifice is abolished and the abomination of desolation is set up, there will be 1,290 days. We will see exactly what the 1,290 days refers to later, but for now it's clear that these two connected events happen on the very same day, 1,290 days from something else. Theories Contradicted: Any explanation of the abomination that does not happen when sacrifices are ongoing and does not then end those sacrifices on the same day would be contradicted, such as the Dome of the Rock theory, and most others. Not surprisingly armies surround and take control of Jerusalem right before her desolation . Also not surprisingly, they do not move on but continue their desolation by "trampling" Jerusalem for a certain period of time called the "times of the Gentiles:"
Luke 21:23-24 (HCSB) — Woe to pregnant women and nursing mothers in those days, for there will be great distress in the land and wrath against this people. 24 They will fall by the edge of the sword and be led captive into all the nations, and Jerusalem will be trampled by the Gentiles, until the times of the Gentiles are fulfilled. That last part is key to find a parallel prophecy needed to break open the abomination mystery. Thankfully, Revelation also talks about a trampling of the place of the temple by the Gentiles. Note that some versions say nations there and some say Gentiles simply because Gentiles literally means "nations." Revelation 11:1-2 (ESV) — 1 Then I was given a measuring rod like a staff, and I was told, "Rise and measure the temple of God and the altar and those who worship there, 2 but do not measure the court outside the temple; leave that out, for it is given over to the nations, and they will trample the holy city for forty-two months. Thus, what plainly follows the abomination and end of altar sacrifices is a trampling of Jerusalem by armies for 42 months. Theories Contradicted: It's difficult to imagine finding any historical theory for the abomination that includes exactly 42 months of trampling of Jerusalem by the armies that surround the city right before the abomination. Revelation 13:4-5 (HCSB) — 4 ...And they worshiped the beast... 5 A mouth was given to him to speak boasts and blasphemies. He was also given authority to act, for 42 months. Revelation 11:3 (HCSB) — I will empower my two witnesses, and they will prophesy for 1,260 days, dressed in sackcloth. By the way, if you had ever wondered what Luke's "times of the Gentiles" referred to, now you can see it's talking about the ruling of Jerusalem by the Antichrist armies during the Great Tribulation. The times last 42 months. Theories Contradicted: Any theory that says the abomination was completely fulfilled in the past. Although we still do not know what the abomination of desolation is, after all the clues above, it is pretty clear that it will be an unprecedented event. To help with that, let us find out what does "abomination" mean anyway? By leaving the Christian New Testament comfort zone and studying the Old Testament and especially the Torah, we can find out what it meant to the audiences of Daniel and Jesus who heard the term. shiqqus. Detestable thing, idol. This noun is always used in connection with idolatrous practices, either referring to the idols themselves as being abhorrent and detestable in God's sight, or to something associated with the idolatrous ritual. Idols generally are referred to as an abomination (Jeremiah 16:18; Ezekiel 5:11; Ezekiel 7:20; 2 Chron. 15:8, etc). Not only are the idols an abomination, but they that worship them 'become detestable like that which they love' (Hosea 9:10), for they identify themselves with the idols. The 'abominable filth' of Nahum 3:6 is shiqqus. It seems likely that, since shiqqus is everywhere else clearly related to idolatrous worship, the same would be true here. Remember from all the passages above that the verbs associated with the abomination require it be something that can be 'set up' to 'stand.' In other words, an idol. Theories Contradicted: People and buildings are not idols, but statues can be. If people worship an idol in a building like the Dome of the Rock there, then the idol would be the abomination, not the building. Daniel 11:31-35 (HCSB) — 31 His forces will rise up and desecrate the temple fortress. They will abolish the daily sacrifice and set up the abomination of desolation. 32 With flattery he will corrupt those who act wickedly toward the covenant, but the people who know their God will be strong and take action. 33 Those who are wise among the people will give understanding to many, yet they will die by sword and flame, and be captured and plundered for a time. 34 When defeated, they will be helped by some, but many others will join them insincerely. 35 Some of the wise will fall so that they may be refined, purified, and cleansed until the time of the end, for it will still come at the appointed time. Everything above points to a second, final abomination of desolation fulfillment being "stood up" in the future by the Antichrist. If the first one, a statue of Zeus, was a idolatrous worship statue (fitting the Torah definition of abomination), then we would expect the next one done by the Antichrist to be the same. What will it be? Revelation 13:14-15 (HCSB) — 14 He [the "False Prophet"] deceives those who live on the earth because of the signs that he is permitted to perform on behalf of the beast [the "Antichrist"], telling those who live on the earth to make an image of the beast who had the sword wound and yet lived. Revelation 13:15 (HCSB) — He was permitted to give a spirit to the image of the beast, so that the image of the beast could both speak and cause whoever would not worship the image of the beast to be killed. This speaking is no parlor trick of smoke and mirrors, voice projection or holograms. 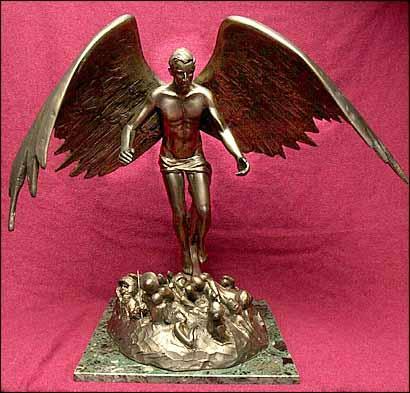 This is a demon or fallen angel inhabiting the Antichrist image to animate it in big ways. Apparently part of its speaking is tattling on those who do not worship because it directly causes people to be killed for this violation. You may have noticed that this level of supernatural power is not "permitted" today, or all the skeptics offering big dollar bounties for proof of the supernatural would be broke. The Book of Job shows a rare instance where God removed the standard restraints on angels and let Satan wreck havoc on a man's family, possessions and health. God will again loosen these these restraints in the end times for the "strong delusion" that the Antichrist is God and worthy of worship (2Th 2:11, 4). The setting up of the Antichrist image in the temple will desolate the temple mount by commanding the statue to be set up for worship at the same time that he halts another form of worship to the real God: the daily oblation sacrifices (Daniel 12:11). As already explained by the clues above, a few things are missing before the abomination of desolation can happen. 1. No Temple — Since the abomination is "stood" up in the temple of God (Mt 24:15) and the Antichrist must be able to "sit" in the temple of God in Jerusalem (2Th 2:4= Dan 11:45) and there is no temple today, obviously a temple must be built first. 2. No Sacrifices — Similarly, just as sacrifices must be abolished at the same time as the abomination is set up and there are no daily sacrifices in Jerusalem going today, obviously sacrifices must be started first. 3. Muslims Control the Temple Mount — There is no sign of the above two events being ready to happen and for good reason. The Temple Mount is in control of the Islamic Wakf. (The Waqf are the Islamic guardians of Muslim holy sites. They watch and make sure they are being properly managed.) Because of this foreign force in control, the Israeli government maintains a peace-keeping ban on Jewish worship on the Temple Mount (even prayer!). Until the Psalm 83 war happens, this situation is likely to stay the same. But even after those three obstacles are removed, there will be no cause for panic. Other prophecies indicate that by that time God will have sent a prophet to warn us and instruct us on the coming abomination and the mark of the beast that comes soon in its wake. There are two separate abominations of desolation predicted by Daniel. The first abomination, the statue of Zeus that Antiochus IV Epiphanes erected in the temple, holds the key to the second. Just as with the previous abomination, the final abomination of desolation will be an image of a false God "stood" up in the coming Third Temple for all to "see" (and worship). This supernatural "image of the beast/Antichrist" desolating the temple will help convince (and enforce) the world to worship the Antichrist. Although Jesus said that you need to flee if you are still around to see the abomination when it is set up, it need not be dreaded or looked for under every rock today. The temple and sacrifices must come first. But even after they do, the wise who listen to the end time prophet of God will be walking by faith not sight. They will hear the warnings that must be given for the whole biblically illiterate world and they will leave without needing to see the abomination of desolation (for details read this article about the 144,000 and the Woman). This article makes a lot of sense and so does Rick. I think Rick’s insights could help inform how a future, more literal abomination could take place. Thanks for the thoughtful analysis, both of you. I believe the temple is not an actual building, but the believers who will be raptured. We are the third temple. So no need to ‘build’ another temple before other events can happen. Rene, many Christians deny a third temple because of 1Cor 3:16, but Paul was only explaining what the Holy Temple pictures using a metaphor. He was not by that statement denying several prophecies (Rev 11:1-2; Dan 9:27; Dan 12:11-12) including his own (2Th 2:4) saying there will be a literal end time Jewish Temple that the Antichrist takes over and sits in. See more here in my article on the Third Temple Prophecy. Or denying Ezekiel 40-46 that talks about the (4th) millennial temple. Of course we are, as Christ stated: structures fall apart — so can people, but I agree: We are God’s Church. Well you have a temple on temple mount that is dedicated to a foreign God. Is Desolation is caused by denying the son and the father? Daniel, an abomination that causes desolation in the OT is much more than denying God or belief in foreign gods. That waters down the term “abomination” to something very common and basically in the work and hearts of most humans in history, denial of God or his goodness. But an “abomination that causes desolation” is putting a pagan god idol up where it desecrates/desolates a holy place. It’s very rare and specific. I was prompted to seek truth after a “prophetic year numbers” youtube claimed obama nobel peace prize was “abomination” etc..
With City of David Temple site actually just beside wall and roman fort at dome level and nearer the annointing spring and altar prep findings and “no stone standing,” AND with Ron Wyat findings, I will pray for strength and service for God’s Kingdom at hand, as God Wills. Doesn’t Christ setup the new Temple of His Spirit? Cannot the “standing” of the Antichrist in the temple, be the declaring himself to be god (with the help of the False Prophet, aka Pope of Catholic church) – and those who fall for that deception be part of the great Falling Away? Can you check out this summary of that line of thought, Tim… why is this not a possible fulfillment of that prophecy? John, Christ can do anything, but we’re told already there will be a literal Third Temple that the Antichrist literally stands in and declares himself God (2Th 2:4). People will continue to allegorize the third temple prophecies and ignore they make perfect sense literally. This is very true. Lore talks about breaking a mirror that brings seven years of bad luck. This lore is a resemblance of the seventy week in the book of Daniel and the Mark of the Beast in the book of revelation. People are expected to worship the beast (instead of Jesus) directly or through it’s images. It can be very tempting and terrible as they would apply a stick and carrot approach which could kill the believer. Read an article not too long ago, no idea on what-think the talk of starting up the 3rd temple, but was mentioned when the temple is started, one Jewish group wanted to make sure they were able to do an animal sacrifice. It’s my understanding with no temple, there’s not supposed to be any sacrifices made. But, there are some Jewish groups that do still perform animal sacrifices on certain holidays. So, rebuild the temple, some groups will resume with animal sacrifices. Also, maybe relevant, maybe not, US will be moving their embassy to Jerusalem in mid May 2018 looks like, temporarily until they get a permanent building built. I personally think this is some how going to be related to the construction of the temple. Whatever the abomination of desolation is, exactly, I do think it’s cool that there are 1260 years between the year 688 when the Dome of the Rock began to be built and the year 1948 when the state of Israel was born; that’s sorta like 1260 years of being trampled underfoot by Gentiles, in my eyes. I realize that Gentiles still had ahold of Jerusalem in 1948; I’m not trying to be picky or dogmatic about this; I just think it’s kinda cool. The way I look at it is this: The time difference between the Muslims beginning to build the Dome of the Rock and the birth of Israel as a nation is the number 1260 – a number of which we have a heightened awareness, because of its prophetic significance. I don’t think that this particular time span must be fulfillment of prophecy. But maybe it’s partial fulfillment, maybe it’s a foreshadowing of the real fulfillment, maybe it’s a reminder that our Father can work anything out the way He wants it. Or, maybe it’s a reminder that if we look for signs in the wrong places, we can be led astray. Yes, I think it’s cool. All of history, and everything in it, is subject to our Heavenly Father. This bit of trivia gives me a reason to glorify Him. I’m happy to see the timespan 1260. I like numbers. 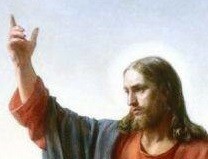 And so I like that my Heavenly Father uses numbers. Nanette, I can appreciate your fascination with numbers and such impressive “coincidences.” The reports of such findings and claims of their significance lost its luster for me over the years as I saw the conclusions based on them always come to naught and once I learned about confirmation bias and other biases that led to these numbers being found and believed in. But I see how these things can work good to keep people’s mind on God’s Word, so blessings to all who are talking about God’s Word and his numbers. LOL I can just imagine how jaded you would be about such Bible-themed “urban legends,” because you see so much vain speculation about prophecy. I am thankful you have invested all the time you have, coming to the point of understanding so much and sharing it with us. I go over and over what you teach, realizing again and again that what I was taught about prophecy was almost entirely biased speculation and mostly worthless. 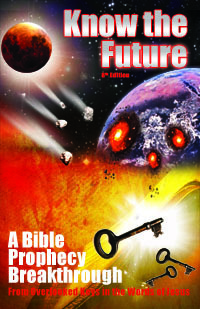 Bible prophecy is a marvelous adventure of exploration and I am so grateful to God that I found your book Know the Future, so many years ago now. Charles, the Antichrist’s armies take over Jerusalem and he’s not going to be of any religion today like Islam. He’s going to be a god to himself demanding worship (2Th 2:4) which he will get with the help of the False Prophet and Mark of the Beast. Please can you explain this verse? Tosin for the restrainer see my article on debunking the pretrib rapture. Excellent article and analysis. I have been teaching Bible Study for about 20+ years and have come to the conclusion that the last temple yet to be built is not ordained by God. Let me explain and get your reaction as it pertains to the end time sacrifices and the Beast in the temple. There have been two temples built that were ordained by God and we know they were ordained due to God’s presence being in them. We know that He withdrew His ordination or approval for lack of a better term when He departed from the last temple. This was the second temple that was rebuilt in Jerusalem. The first temple built by Solomon we know was ordained due to God’s presence there as well and his giving directions on how it was to be built. The quandary is that I cannot find anywhere in the Bible where God directs anyone to build another temple even though the Israelis will build another one as you have aptly pointed out. So if God does not ordain it how then can an act or event in something that is not God’s be used for sacrifices? And, if that is true, can it be violated if it is outside of God’s direction, Will and is not His anyway? In this verse Christ seems to indicate that the “abomination of desolation” – “stand in the holy place” is the beast which is some kind of hybrid artificial intelligence with an evil spirit indwelling it. So as you point out it is the “thing” that is the abomination. As you point our very clearly the beast will speak and have great power and will be set up to be worshiped. It has no effect on God or those who follow Him, but God will have an effect on the three fakes the anti-Christ, the false profit and the beast. Sorry for the lengthy comment but would love to have your assessment. We are the 3rd Temple of God, the first two being the Zodiac and Pyramid or Building (like the church) respectively. Although this particular event is a big plan that includes the rebuilding of the temple at Jerusalem following wars and rumour of wars, the the olive tree forerunners and other signs to watch out for, we have read accountd about people who experienced this curse in their personal life were they are forced through gang stalking to serve a human being by through powerful organizations. An example of this happened during the Inquisition and others throughout Europe initiated by the Roman Catholic Church that resulted to the rebellion of the Protestants headed by Martin Luther. A period the historians termed as the dark ages. The pagan Rome was now a papal Rome where the Pope was sitted in his holy temple and claiming to be God incarnate. Millions of people were murdered for refusing to organize. This is still a subtle persecution we are facing in today’s life and we need the mercy of God to escape it. Stephen, the prophecies of a Third Temple describes a literal building that people worship at and the Antichrist sits in after taking it over as his headquarters (2Th 2:4). The church is only a metaphorical temple in one of Paul’s figurative teachings. 21 Jesus said to her, “Believe me, woman, the hour is coming when you will worship the Father neither in this mountain nor in Jerusalem. Gustavo, the Dome of the Rock has been there for centuries. Jesus warned about something new that “when you see standing where it ought not, flee.” Sorry, it doesn’t fit, so we must acquit. Sorry Tim, but there’s not a preacher or prophecy teacher ANYWHERE on this planet today who can prove that the terms “the temple of God”, and “the holy place” in the end-time scriptures, are references to a Jewish Temple in Jerusalem. Christians will never know what that “abomination” is, until they learn to interpret “the holy place” and “the temple of God” correctly. AND until they recognize that the end-time scriptures are NOT ABOUT Israel and the Jews, but rather about modern-day AMERICA/BABYLON THE GREAT. I would challenge ANY preacher, or ANY prophecy teacher, regardless how famous and how well known, to try to prove me wrong.